Part of the Department of the Treasury, the Alcohol and Tobacco Tax and Trade Bureau (TTB) is responsible for collecting excise taxes on alcohol, tobacco, firearms and ammunition. The agency also makes sure that these products have appropriate labels and are advertised and marketed in accordance with federal laws. In addition, the TTB administers laws and regulations regarding alcohol, tobacco, firearms and ammunition to protect consumers and tax revenue. The Alcohol and Tobacco Tax and Trade Bureau was created on January 24, 2003, when the Homeland Security Act of 2002 was passed. This legislation divided the functions of the Bureau of Alcohol, Tobacco and Firearms (ATF) into two new organizations. 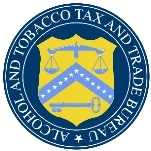 The Alcohol and Tobacco Tax Trade Bureau (TTF) operates within the Department of the Treasury, and the law enforcement functions of the ATF were shifted to the Department of Justice. The ATF, which formed the origins of the TTF, began more than 200 years ago as one of the nation’s earliest tax collecting agencies. In 1789, under the United States’ new Constitution, the first Congress imposed a tax on imported spirits to offset debt that had accumulated during the Revolutionary War. The Department of the Treasury, led by Alexander Hamilton, was charged with collecting this tax. By 1791, domestic taxes were added to those on imports, causing widespread dissention. The Whiskey Rebellion in 1794 was one such example of unrest caused by these taxes. Taxes on domestic and imported spirits were eventually abolished, but taxes were collected as needed until 1862 when Congress created the Office of Internal Revenue within the Department of the Treasury. The agency was responsible for collecting taxes on distilled spirits and tobacco products that, with minor amendments, still exist today. To offset resistance and criminal evasion of these taxes, Congress authorized the hiring of three detectives to “aid in the prevention, detection and punishment of tax evaders.” This united tax collection and enforcement under one roof. By 1875, federal investigators had broken up the “Whiskey Ring,” an association of grain dealers, politicians and revenue agents responsible for defrauding the federal government of millions of dollars. Congress responded by passing the first Civil Service reform acts, which acknowledged that laws could only be as effective as the people writing and enforcing them. By 1877, the agency was known as the Bureau of Internal Revenue. Ten years later, an employee from the Department of Agriculture came to the Bureau of Internal Revenue to establish a revenue laboratory. This tradition continues today with TTB’s Scientific Services Division, which employs scientists of many disciplines to perform tests and research functions. In April of 1927, the Department of the Treasury elevated the Prohibition Unit to bureau status within the department. But Congress was impatient to see results and transferred the penal provisions of the Prohibition Act to the Department of Justice’s new Bureau of Prohibition in 1930. Tax-related matters, as well as regulatory functions, stayed with the Treasury under a new Bureau of Industrial Alcohol. Eliot Ness, one of the era’s most famous enforcers, came to fame at this time and helped to bring down Al Capone on tax-evasion charges. Prohibition was repealed with passage of the Twenty-first Amendment to the Constitution in December 1933. President Franklin D. Roosevelt passed an executive order under the National Industrial Recovery Act to form the Federal Alcohol Control Administration (FACA). In cooperation with the Departments of Agriculture and Treasury, the new agency became responsible for helping wineries and distilleries to adopt voluntary codes of fair competition. FACA was short-lived, though, and it was abolished within 20 months when President Roosevelt signed the Federal Alcohol Administration At in 1935. Treasury was once again in control of regulating the alcohol industry. Prohibition continued to shape policy for several decades. In March 1934, prohibition enforcement was folded into the Alcohol Tax Unit (ATU), which was part of the Bureau of Internal Revenue and the Department of the Treasury. The Federal Alcohol Administration (FAA) continued to function independent of the Treasury. It was responsible for collecting data, establishing licenses and permit requirements and defining regulations for an open and fair marketplace. The FAA merged with the ATU in 1940, but the FAA Act continues today as part of the TTB’s legislation.
. This new legislation gave ATU responsibility over explosives, as well as other materials. In July 1972, Treasury Department Order No. 120-1 transferred from the IRS any powers and functions related to alcohol, firearms and explosives to a new Treasury Department agency called the Bureau of Alcohol, Tobacco and Firearms (ATF). Taxation and regulatory functions remained part of ATF until January 2003 when these functions were transferred to the newly-created Alcohol and Tobacco Tax and Trade Bureau. The Alcohol and Tobacco Tax and Trade Bureau (TTB) is responsible for levying and collecting excise taxes on alcohol, tobacco, firearms and ammunition. By helping to develop legislation and regulations involving alcohol, tobacco, firearms and ammunition products, and ensuring that these products are labeled, advertised and marketed appropriately, the agency aims to protect consumers. TTB also conducts product analysis and ensures trade compliance with the Federal Alcohol Administration Act and the Internal Revenue Code. TTB is headquartered in Washington, DC, and maintains an office in the National Revenue Center in Cincinnati, Ohio. Staff members are analysts, chemists, investigators and auditors. Others serve as financial, legal, information management and computer specialists. Advertising, Labeling and Formulation Division (ALFD) implements and enforces a wide range of statutory and compliance provisions of the Internal Revenue Code (IRC) and the Federal Alcohol Administration Act. The act requires importers and bottlers of beverage alcohol to obtain certificates of label approval or certificates of exemption from label approval (COLAs) for most alcoholic beverages prior to their introduction into interstate commerce. ALFD acts on these COLAs to ensure that products are labeled in accordance with federal laws and regulations. ALFD also examines formulas for wine and distilled spirits, statements of process, and pre-import applications filed by importers and proprietors of domestic distilled spirits plants, wineries and breweries for proper tax classification and to ensure that the products are manufactured in accordance with federal laws and regulations. International Trade Division: Works with the Office of the United States Trade Representative (USTR) and other federal executive departments to create worldwide opportunities for economic development. It works with other TTB experts and the chief counsel to serve as the technical advisor and authority on US alcohol beverage laws, regulations and policy. It also assists the USTR in the worldwide expansion of market access for US goods and services and assists in the negotiation of bilateral and multilateral free trade agreement issues related to wine and spirits. National Revenue Center reconciles returns, reports, and claims; screens applications and issues permits; and provides expert technical assistance for industry, the public and government agencies to ensure fair and proper revenue collection and public safety. Regulations and Rules Division develops and publishes new and amended TTB regulations to implement laws. It prepares and publishes rulings, industry circulars and other material concerning legal activities of the regulated industries. It addresses internal and external requests for advice and formulates policy positions on the interpretation and application of laws and regulations. It develops and implements policies and procedures for processing TTB directives and publications. Risk Management develops, implements and maintains monitoring programs for collecting the revenue due the federal government and protecting the public and ensuring resources are effectively used. Scientific Services Division (SSD) provides technical support to all TTB programs. SSD produces scientific data and maintains state-of-the-art laboratories: the Beverage Alcohol Laboratory, the Nonbeverage Alcohol Laboratory, the Compliance Laboratory, and the Tobacco Laboratory. Tax Audit verifies the proper payment of alcohol, tobacco, firearms and ammunition excise taxes. Trade Investigations comprises investigators who ensure industry compliance with the laws and regulations administered by TTB. Its investigators ensure only qualified applicants are granted permits to engage in the production and distribution of alcohol and tobacco; investigate allegations of trade practice violations in the marketplace; examine Certificates of Label Approvals (COLAs) to deter unauthorized usage; promote voluntary compliance with the laws and regulations enforced by TTB; prevent misleading labeling and advertising of alcohol beverages; ensure public safety by responding to credible information suggesting a health-related contamination or adulteration of an alcohol product; and conduct investigations of suspected alcohol or tobacco tax evasion. Tobacco Enforcement Division promotes voluntary compliance by monitoring the domestic tobacco trade, ensuring only qualified applicants enter the tobacco trade and compliance with tax laws relating to tobacco and facilitating TTB’s enforcement functions in cases of non-compliance. The Alcohol and Tobacco Tax and Trade Bureau (TTB) spent nearly $426 million on 760 contractors this decade. According to USASpending.gov, TTB paid for services of mostly one type—automatic data processing and telecommunications services—in support of its goals. Universal Systems and Technology, Inc.
, employs and provides job skills training to inmates confined within the Federal Bureau of Prisons, among other activities. In April 2008, health and consumer groups called on the federal government to require manufacturers of alcoholic beverages to carry nutrition labeling similar to other foods and drinks. The Alcohol and Tobacco Tax and Trade Bureau proposed a plan that would require labels to inform consumers about alcohol content, calories and carbohydrate content. Some manufacturers have created controversy about this idea, saying TTB doesn’t have a public health mandate to force manufacturers to reveal the amount of alcohol on their products. Makers of Tilt, Bud Extra and Sparks brews were subpoenaed in an investigation about the marketing of drinks containing caffeine and alcohol. Some have said that these beverages attract underage drinkers who want to mix dangerous stimulants and depressants. The TTB has found no breaches of its rules on alcohol marketing, but critics and several attorneys general believe that alcohol and caffeine should not be mixed. In May 2008, Alcohol and Tobacco Tax and Trade Bureau Administrator John Manfreda testified before the US House of Representatives Ways and Means Committee’s Subcommittee on Oversight when Congressman Mike Thompson (D-CA) challenged its handling of misleading wine industry labeling practices. Known as the “Calistoga Controversy,” the controversy involved the right of a single brand known as Calistoga Cellars to sell wine with grapes not from the Napa Valley. Hundreds of wineries and House Speaker Nancy Pelosi (D-CA) have urged TTB and Congress to abandon these practices and adopt newer, more truthful labeling laws. Winemakers struggling to stay competitive have sought American viticultural area (AVA) designation from the Alcohol and Tobacco Tax and Trade Bureau. The tedious and expensive process has brought about controversy from vintners who challenge the boundaries of AVA status. Another related controversy involved the “Oak Knoll” designation which was opposed by a winery in Oregon already bearing that name for 30 years. Critics expect these rules to confuse consumers and make AVA status a less valuable marketing tool. Charges of over-concentration of alcohol billboards in African-American neighborhoods have prompted legislative fights in several major US cities. Ads for malt liquor resulted in the banning of several brands. Critics say that the connection between alcohol, gangs and rap music promotes negative stereotypes and keeps a cycle of violence and poverty in place for generations of African-American youth. However, these products are legal within the limits proposed by the TTB. I need help on which agency to file a complaint against Cobra Firearms ans Anthony's Industries. 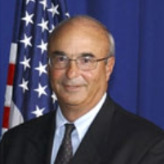 A native of Washington, D.C., John H. Manfreda has served as administrator of the Alcohol and Tobacco Tax and Trade Bureau since January 2005. Manfreda attended the University of Maryland, majoring in business finance and economics. He is a graduate of the American University Law School and earned his Juris Doctorate degree. Manfreda also earned a master’s degree in tax law from Georgetown Law School and was made a staff attorney at the Bureau of Alcohol, Tobacco and Firearms (ATF). For 33 years, Manfreda worked at ATF and ended as its chief counsel. He was made deputy administrator for the Alcohol and Tobacco Tax and Trade Bureau in January 2003.